David Korn practices in the area of labor and employment. He represents private employers, insurance companies and governmental entities in all facets of labor and employment law throughout the Gulf South, with particular emphasis in Texas and Louisiana. Mr. Korn serves as lead trial counsel in cases brought under federal and state employment law statutes. He has handled issues brought under Title VII, the Americans with Disabilities Act, the Family and Medical Leave Act, the Fair Labor Standards Act, the Worker Adjustment and Retraining Notification Act, the Age Discrimination in Employment Act as well as discrimination claims and tort-based breach of contract claims asserted under state laws. He has also resolved over 100 claims through alternative dispute resolution, including mediation and arbitration. At the administrative level, Mr. Korn has represented employers who are faced with charges filed with the Equal Employment Opportunity Commission, the Office of Federal Contract Compliance Program, the National Labor Relations Board, the Texas Commission on Human Rights, the Louisiana Commission on Human Rights and the Department of Labor. He regularly gives training seminars and presentations on how employers can prevent charges from being filed and how to defend against them when they are received. Mr. Korn is also an active speaker on a wide range of employment law topics, has served as an adjunct professor to Tulane University Law School and the University of New Orleans and been honored to serve as a guest lecturer through the Fulbright Program teaching students in an international forum about how cases are litigated in the United States. 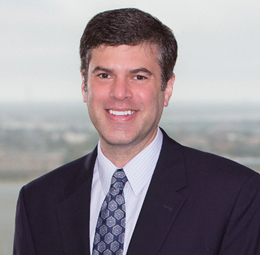 He currently serves as the practice coordinator for the firm's Labor & Employment practice group in New Orleans. Representation of private and public employers in all facets of employment-related lawsuits brought in federal and state courts. Defending claims for civil rights violations (including discrimination and harassment), constitutional rights violations and breach of contract claims. Counseling and defending clients on leave issues under the Family and Medical Leave Act, Americans with Disabilities Act and military leave. Counseling and defending clients on employee wage payment issues and overtime issues as it relates to salary/hourly employees. Jones v. Delta Towing LLC, 512 F. Supp. 2d 479 (E.D. La. 2007). Case involved an employee alleging racial discrimination, hostile work environment and retaliation. Girouard v. Edison Chouest Offshore, 2007 WL 2751205 (E.D. La. 2007). Case involved an employee alleging gender discrimination and harassment. Anderson v. New Orleans Jazz & Heritage Festival, 464 F.Supp.2d 562 (E.D. La. 2006). Case involved the Family Medical Leave Act and state tort law claims. Wilson v. Airtherm Products, Inc., 436 F.3d 906 (8th Cir. 2006), cert. denied, 127 S.Ct. 182 (2006). Defended against 88 employees claim for back wages under the W.A.R.N. Act.